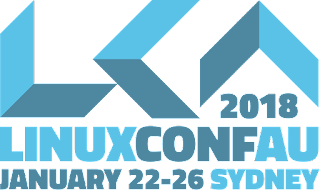 It’s summer in Sydney and Linux.conf.au (LCA) 2018 is just a week away. LCA, an annual event that attracts people from all over the globe, including Googlers, runs January 22nd to 26th. LCA is a cornerstone of the free and open source software (FOSS) community. It’s volunteer-run, administered by Linux Australia, and has been running since 1999. Despite its name, the conference program covers all things FOSS. The event is five days long and includes two days of miniconfs that make the program even more interesting. The Google Open Source team is escaping “wintery” Northern California and will be hosting a Birds of a Feather (BoF) session and co-hosting an event with GDG Sydney, both focused on our student programs. Not able to make the conference? They’ll be posting session recordings to YouTube afterwards, thanks in part to students who have worked on TimVideos, a suite of open source software and hardware for recording video, as part of Google Summer of Code. Naturally, you will also find the Google Open Source team at other upcoming events including FOSDEM. We look forward to seeing you in 2018!